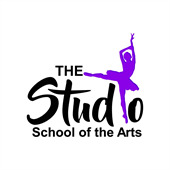 Welcome to The Studio School of the Arts! Please complete the following registration form. I am responsible for payment of each month's tuition due on the 1st of each month, regardless of absences. I authorize The Studio to withdraw tuition from the card on file should I fail to pay by the 10th of the month. If my payment is more that 10 days late, twice in a calendar year, I will be required to schedule a reoccurring payment. To withdraw from a class, I will provide notice prior to the 1st of the month. I realize that I will not receive a refund for classes I do not attend. I will abide by all policies of The Studio and release The Studio and The Fountain Church of any responsibility of injury incurred on the premises or at functions held at other locations. In case of an emergency, I give permission for The Studio and The Fountain Church to seek medical treatment at the nearest medical facility. I authorize the use of my child't picture to be used in The Studio website and in any future brochures. I understand that my child's name will not be connected with any photograph.